Brookfield, CT April 30, 2014 – While previous “long-range” digital signal over UTP signal extenders trumpet “extreme” transmission ranges that may amount to a few hundred feet, Raven Research has redefined what constitutes long-range transmission with a series of products that transport digital video, audio and auxiliary signals far beyond conventional distance barriers. Raven’s new SX3107 1x7 UTP-based distribution amplifier is the catalyst for covering such vast expanses. 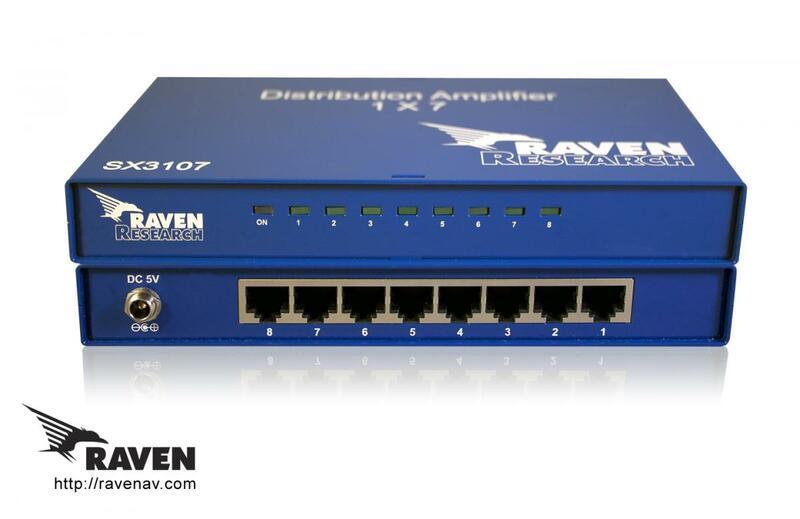 When used in conjunction with Raven’s SX3100 UTP-based transmitters and receivers, the SX3107 DA not only can distribute a single digital video input to seven outputs, it also serves as a signal resync and reclocking mechanism capable of being placed 160 meters/525 feet away from a Raven transmitter, a Raven receiver or another Raven SX3107, adding flexibility to any distribution footprint. Because of its reclocking and resyncing attributes, there is no limit to how many SX3107 units can be used—tier and/or cascade SX3107 products as many times as needed in order to reach any number of screens. Raven’s SX3100 Series transmitters and receivers and the SX3107 DA handle formats to 1920x1200 resolution video (including 1080p) plus embedded audio, IR and bi-directional RS-232 and USB signals. When utilized with the SX3107, USB signals remain fully functional for two–way operation with a single “master” Raven receiver, while RS-232 is functional in broadcast simplex fashion, useful for “turn on” or “turn off” commands for example. A focus on both big and little details, gleaned from over 30 years of engineering Pro A/V solutions, is what makes Raven’s offerings different; every product features locking power connectors, while an optional and inexpensive solution to lock digital AV connectors is available. All Raven circuitry also features galvanic isolation, which will help eliminate grounding issues that are common place in extension situations. The technology driving Raven products—the Talon 5 engine—is a proprietary solution for extending digital signals and boasts adaptive compression, a technology that seamlessly differentiates between text and motion video and renders each optimally on the same screen at the same time. Raven products are engineered utilizing networking electrical standards, which results in resilient products that boot and start working no matter what sequence connectors are plugged in or units are powered on. 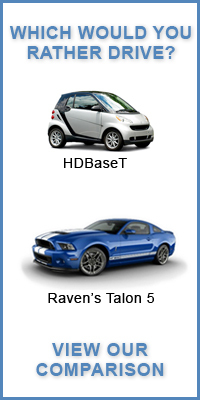 Unlike HDBaseT products, Raven offerings also retain performance standards when used near cellular phones, other electrical interference or when multiple cables are run in the same conduit. 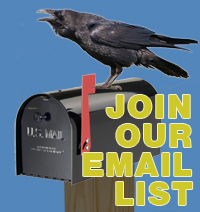 Proudly made in the U.S.A., the Raven X3100 UTP transmitter, receiver and SX3107 distribution amp are now shipping.